About a year ago I was really getting into compost. 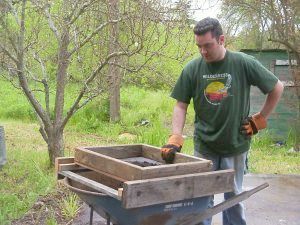 I’ve got heavy clay soil and compost does an excellent job of loosening up the soil for my vegetable garden. 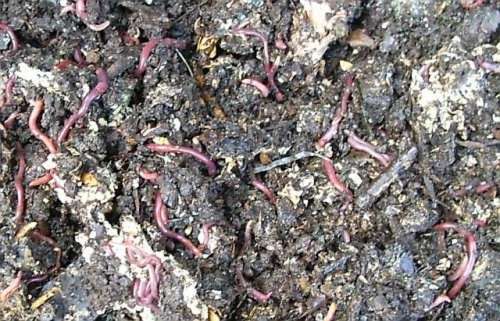 Mother nature will compost pretty much anything if you give her enough time. Well, I’m pretty impatient so I’m doing all I can to speed up the process. In the backyard I went to our leaf pile where we’ve been dumping leaves for years. Under about a foot of leaves is some stuff that looks like it is completely composted. Well, with the addition of our new chickens we’ve not only got egg machines, but poopin’ machines too! I’ve rekindled my obsession with a nice hot cooking compost pile. Below is a picture of our pooping machines and out bio-stack compost bins (two of them). A few weeks ago I took the pine shavings and chicken poo / manure from the bottom of my chicken coop and mixed it with a bag of freshly mown lawn clippings. I mixed them together really well and added some water (from our flooded basement). After a few hours the pile was cooking at about 130 degrees. Well, I waited until my grass / pine shavings / chicken poo pile had cooled down and then I turned it. Boy did I turn it good! While turning it I noticed that much of the grass was still green and that there were still many shavings so I was good on greens and browns. Moisture still looked good too. I figured all it needed was some more air and a little mixing and it would heat up again, but 24 hours later I’m still at 70 degrees? 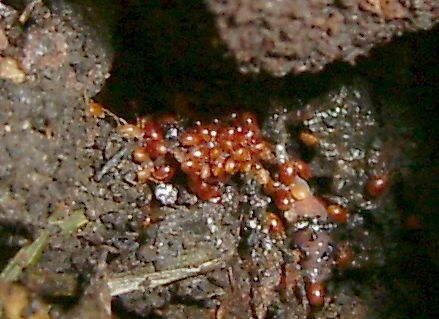 I went out to check the next day and found a PLETHORA of new little bugs. Turns out they are mites. 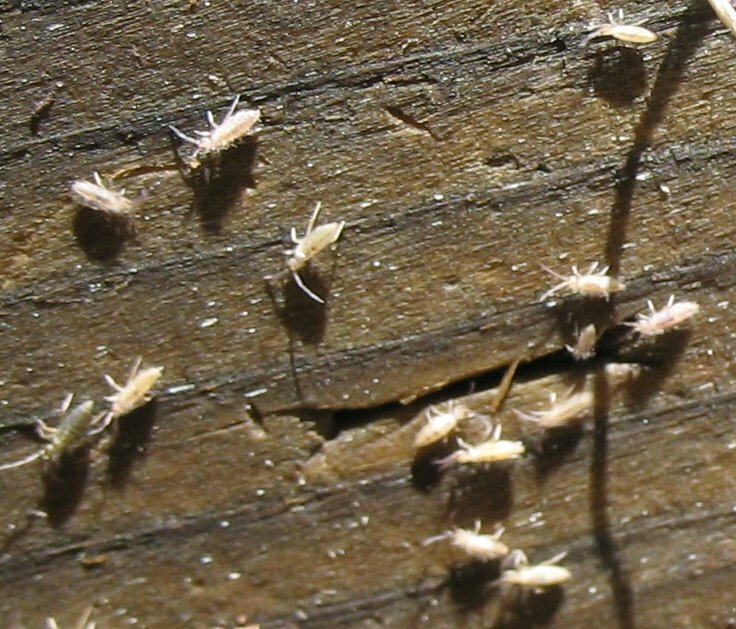 I was originally very worried about these little guys for my chickens sake, but learned that these ones only feast on dead plant matter or other little bugs. The temp had gone up, but just by a little. So far I’m not amazed at the results, but I’ll keep playing with them and maybe get a bag or two to do more testing. Hopefully there will be some good hints from the garden forum. I have chickens as well, 8 pullets and some eggs in the incubator.I will probably be keeping around 20 hens. I use pine shavings and am wondering how long it takes to compost them.I think I read before that you are starting to do the deep litter method and I understand that would probably speed up the process for composting but what if you just want to rake it out more often and use it in the compost bin? 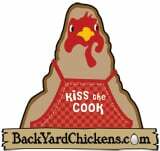 I hate to have the hen house get real dirty so I am not sure if using the shavings would be worthless if there is not enough chicken waste with them, or is it good to at least use the shavings? I guess what I am wondering is are you using the shavings more for the chicken waste in the compost or for the shavings themselves? Hi Natalie. 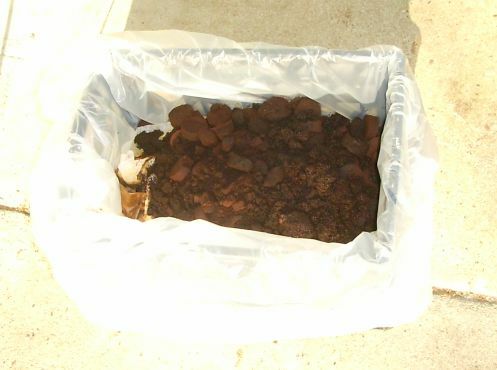 Well, everything composts over time, but having just the right mix really speeds up the process. If you don’t have enough “greens” to get your compost moving along and you’re in a hurry then dump in a load of fresh grass clippings or other green matter and keep the pile lightly damp and aerated. 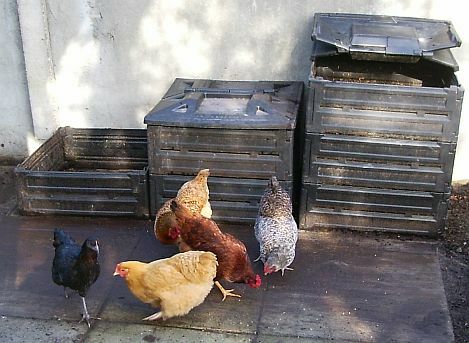 If your not in a hurry and a clean coop is a bigger priority, then just put the litter in your compost pile and let it compost naturally on its own. To answer your last question: I use the shavings for both: 1) for how well it works with keeping the smell down and absorbing the moisture in the litter, and 2) for how well it works in my compost. On a related note: Good quality chicken compost is expensive. I figure I can buy lots of shavings and compost them with chicken litter for about the same $$ or less than buying chicken compost pre-bagged… but I have the benefit of knowing exactly what is in the compost (from my hens) and it helps with keeping my hens happy and clean. I’v been wondering weather an open compost would help get it moving along quicker, or if the usal bin type thing doesnt make any differnce? Im not very eloquent sorry! 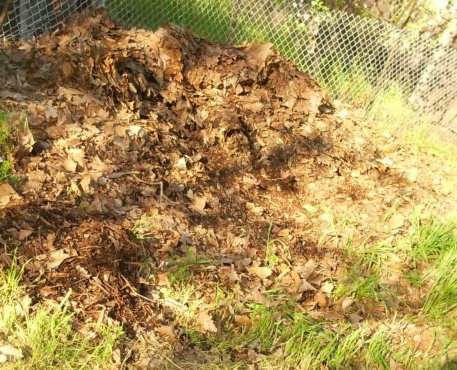 I’ve been composting for the last 11 years and I have to say I have an enormous compost pile at the very back of my yard. I only recently decided to check out youtube for some gardening tips and discovered how much effort you can put into creating nice compost. I don’t do anything except rotate some of the matter once in a while. I find nature does it’s own thing. I was surprised how quickly logs will even break down in my damp climate. I try to make sure there are no tree parts in the pile aside from leaves but I have found decaying wood at the bottom of the heap from the previous owners. Even doing it “wrong” still seems to work, thankfully. Thanks for your tips and I’ll definitely check out your sifter post too.